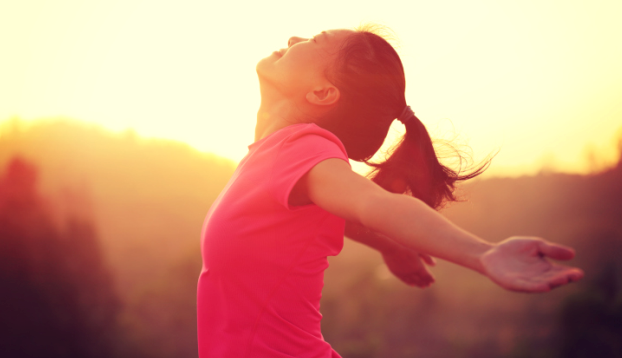 Get the most out of your mornings with these enlightening tips. 1. Give bedtime a makeover. Consider setting a bedtime alarm for a few nights. When that timer goes off, shut down the computer and hit the lights, no excuses. Make it a part of a soothing nighttime routine. Before bed, cut down on caffeine and screen time—both will keep you up late. Try some milk or yogurt and a book or magazine. And if you can, keep your work out of the bedroom. Your mind will always be racing when your head hits the pillow if your bed doubles as a workspace. 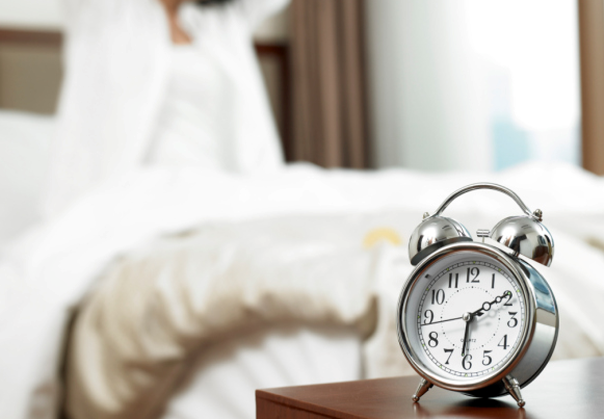 The snooze button messes with your body’s rhythms, meaning it could take hours to function at an optimal level. It’s just not worth it. When you wake each morning, consider a daily mantra or affirmation. It can be anything from "I can handle this" or "I can conquer anything." It doesn’t matter what it is, as long as it helps you come from a positive place. Resist the urge to check e-mail or social media when you wake. Instead, trying devoting a little time to something you care about that is also creatively stimulating. Write a few pages of your novel, meditate, paint or draw, play with your pet, even take some photos of said pet—just post how adorable they are to Instagram or Twitter after breakfast. You’ll find yourself more patient and giving. When the day starts, take a few minutes to outline your priorities and build structure into your day. Pick three things (they can be as big or as small as you want) to pull together a game plan. Stay accountable with an alert or alarm and check in with yourself to see how you're doing. Get the blood pumping with a short walk or a stretch or your regular workout. You’ll feel more energized and sleep more easily. 7. There's an app for that. Make mornings more fun with innovative apps and gadgets that can monitor your sleep or offer an alarm alternative won't set your teeth on edge, and even make you smile. 8. Eat a breakfast that will keep you going. Don't skip breakfast; instead find what works best for you. Mix and match foods that are good sources of fiber and protein will fight fatigue during the day. Give eggs, whole grains, avocados, cheese, fruits high in vitamin C and potassium or yogurt a try. Avoid sugar that will make you crash and always stay hydrated. Spend some time with people you care about. Check in family, possibly around the breakfast table, even if it’s just a few minutes over coffee, drawing a picture with your kid over breakfast or sending a ‘good morning’ text to a friend. You’ll feel better and less stressed. 10. Make a sleep routine. When you get home, resist the urge to nap after a long day. If you’re out for more than 20-25 minutes, you may have trouble sleeping at night. Also, try waking up at the same time every day. Yes, even weekends. You may feel less drained when the week starts again. 11. Give yourself a break. Don’t overschedule your evenings and actually take the weekends off to avoid burning out, Unplugging for even a couple of hours can do a world of good. Ultimately, you know when you’re most productive and have the most energy, so work with that in mind.